Hello, my readers! I know you are out there! How was your Thanksgiving? I came back from Chicago about a week ago but I am still readjusting and feeling the post-vacation blues. Usually, my trip to Chicago doesn't feel like a vacation but thanks to Mr. Lilacmoon's brilliant idea, our last couple trips have been sort of like mini vacations. You see, after spending some time with our families, we would chill by ourselves in Chicago downtown and explore on our own. Awesome. And this time, we celebrated my birthday! I turned 33. Or was it 32? Oh, who cares. 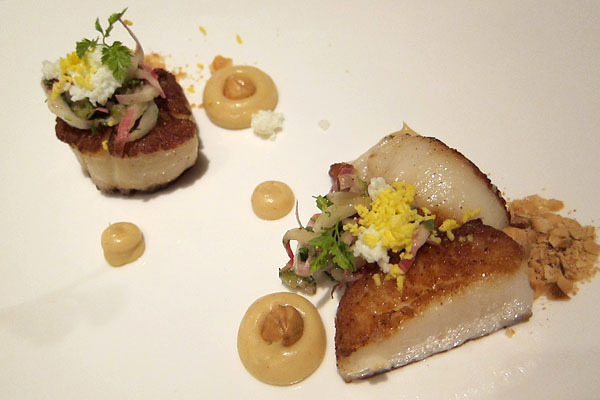 Mr. Lilacmoon treated me to a fabilis birthday dinner at a restaurant called Sepia, and these scallops with hazelnuts were fabilis. 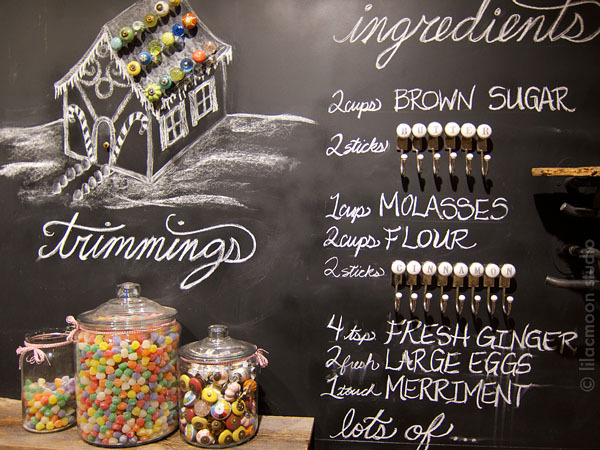 I visited the new Anthropologie store on Chicago St. and found several things I could use my birthday offer on. That store is just too cute! And spacious. 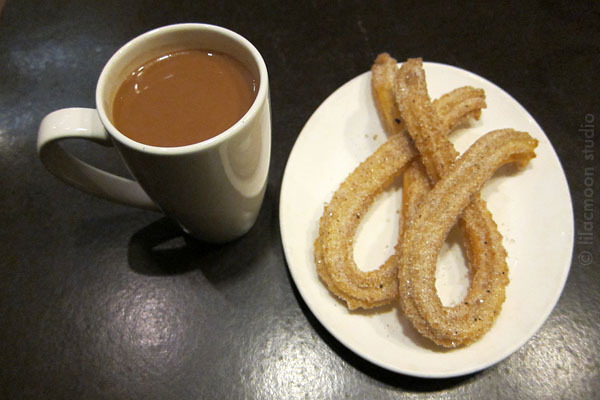 These churros from XOCO were so good. We ate them on two separate occasions. 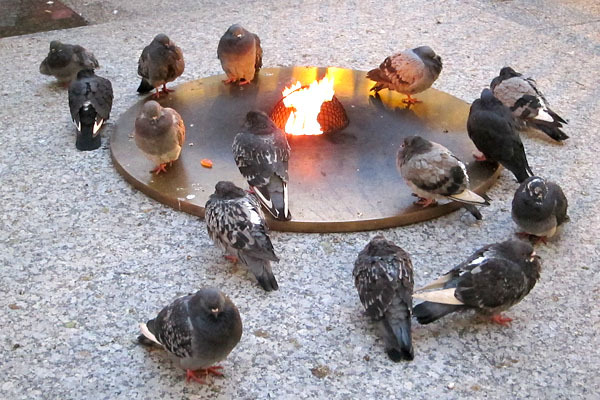 Pigeons huddled around a fire pit at Daley Plaza. We saw them as we were leaving the Christkindlmarket and wished we could get as close as they could (it was fenced) because it was freaking cold. Smart, you guys. 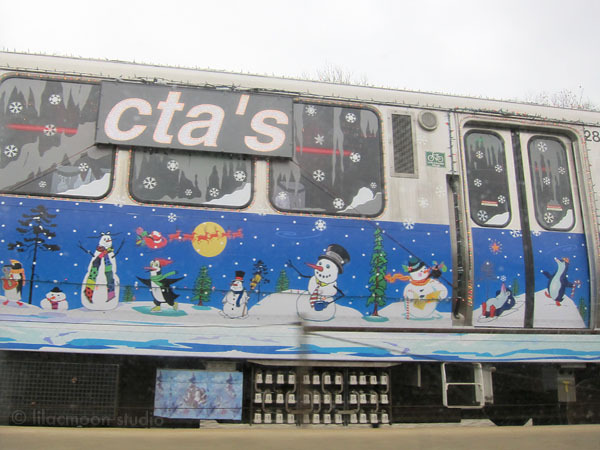 This was a CTA train we saw on the way to the airport. All decked out with Christmas decorations! Could I see a Muni Metro train like this, please?